UK Food Group Press Release "GM Crops and Developing Countries" (11 July 2003). Eradicating poverty and hunger are core aspects of the work of many of the UK Food Group's (UKFG) 32 member organisations, which work jointly in these areas with local partners in developing countries and with subsistence farmers. Our direct experience shows that in most developing countries, whose small-scale, labour-intensive agriculture is dramatically different from the UK, GM crops are at best irrelevant and at worst can threaten local food production. We believe that there is no scientific, economic or ethical justification for asserting that GM crops are necessary for eradicating hunger in the developing world. Our concerns relate principally to developing countries and to the implications that GM crops present in relation to the livelihoods and household food security of the world's poorest people -- the 1.2 billion who live mostly in rural areas on less than a dollar a day. 1. The solutions to hunger and food security lie mainly in overcoming social and economic barriers that limit poor people's ability to buy or produce and sell food. New and costly technologies, such as GM crops, risk increasing existing inequalities and the poverty and food insecurity that result. corporations, current trends raise serious questions about the influence large transnational corporations may wield over every aspect of the global food supply. 3. Too little is yet known about the potential effects of GM crops - particularly in developing country situations - in relation to the environment, health, agricultural systems and local livelihoods. 4. Too little time, opportunity and assistance is being given to developing countries to debate and decide for themselves and build the capacity to test and control GM crops. There is a danger that commercial interests will override democratic decision-making and local control. Recent experience demonstrates that the introduction and dissemination of GM technologies is already proceeding in advance of developing country capacity to assess the risks and benefits for themselves. Commercial application in the UK/EU must not result in effectively precluding developing countries from exercising their own right to examine the risks and benefits and choose accordingly. It is too early to make an assessment of the effects of GM crops in most developing countries, let alone to take critical decisions that would encourage the rapid spread of GM crops in these countries. It is essential to take a precautionary approach in relation to the introduction of GM crops into developing countries, as required by the Biosafety Protocol, a new legally-binding treaty that will come into force on 11 Sept 2003 and allow countries to refuse GM crop imports. The US, which has not signed the Biosafety Protocol, is challenging the way European and developing countries are implementing biosafety regulations. While the potential benefits that are claimed for GM technology appear to be almost unlimited, it is not clear how they could be delivered and what risks will arise in terms of the technology itself or in terms of how it is controlled. We believe, on the basis of our experience of how previous technology packages impacted on the poor, that balance of benefits and costs is very unlikely to favour poor communities in developing countries. Overemphasis on GM crops and GM technology is drawing support away from more sustainable farming methods. These have proved effective in feeding the poor and improving their livelihoods and are based on local knowledge, control and ownership of livelihood assets. These are available now. The pattern of investment in agricultural research has skewed research funding and focus towards high technology approaches that are most suited for large-scale industrial agriculture and away from support for sustainable agriculture approaches that meet the needs of the poor and hungry in developing countries. Considering the history of globalisation, the potential knock-on effects of policy choices in the UK should be part of global public policy decisions. We believe the implications of GM crop policy choices in the UK/EU will be significant for many developing countries since they could impact on the basic human right to food. These rights, realised through local solutions, should be given preference over commercial gains by the corporate sector. In relation to food, production must increase where there is hunger i.e. 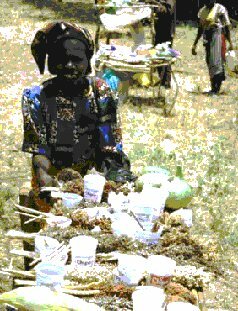 in rural areas in developing countries, because of failures in markets and other livelihood opportunities. Encouraging local sustainable food production by poor farmers in developing countries is central to eradicating hunger. All people have a right to food. This means ensuring that people have control over and access to the resources that enable them to get the food they need. Experience shows that appropriate solutions to development problems are those that can be controlled and managed through local and national governance structures and which strengthen local markets and production systems. Ensuring poor peoples' right to participate in decisions that affect them, and to make informed choices, is vital. It is vital to anticipate and take steps to avoid or mitigate the potential risks of new technologies for poor households and communities. For a technology to benefit the livelihoods and food security of poor people it should build on their existing capabilities, it should enhance and strengthen them and must be affordable and accessible. Poor communities should be actively involved in the development of technologies intended to meet their needs and not treated as passive recipients. Sustaining GM-free seeds. Elizabeth Michek, Seed Guardian, Kenya. The livelihoods of poor people can be blighted by environmental damage and pollution. Environmental protection contributes to their well-being and helps to conserve the natural resources and biodiversity on which many communities depend. The GM crop debate in the UK is being overshadowed by global politics. The trade war between the USA and Europe over GM foods, the dumping of GM food aid by the USA on unwilling but hungry recipients and the headlong rush into biotechnology by rich countries threatens the livelihoods of the poor, the eradication of hunger and the sustainability of the environment. For the sake of the hungry, now is the time for precaution and the seeking of solutions through sustainable agriculture, not GM crops. 1 From letter sent to the Prime Minister's GM Crops Team in the Strategy Unit on 25 October 2002 as part of the continuing BOAG response to the government's GM Crops dialogue. BOAG agencies are five of the 32 member organisations of the UK Food Group - the UK platform on food security and food sovereignty issues.